Spring is just about starting in many parts of the country, but here in the south, the weather is already hot. We are getting an amazing selection of fresh produce in the stores from Florida. Fresh strawberries are abundant and inexpensive and I am thrilled. Berries of all sorts are my all time favorite fruit of summer. This easy strawberry icebox pie is a delicious summer dessert recipe that is sweet and refreshing. While you could certainly use a premade graham cracker crust, a pretzel pie crust is the perfect salty balance to this sweet strawberry icebox pie! 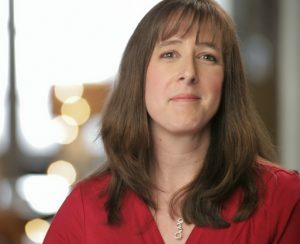 Keep reading for the recipe as well as a few items that you might find helpful before you start cooking. What is an Icebox Pie? So, maybe you have never heard of an ice box pie. What is it exactly? Well, it is a traditional southern dessert that I just love! It was named after the ice box (or freezer) that these pies were kept cold in. Ice Box Pies are quick and easy to make, require no cooking (which is nice in the heat of summer! ), and can be stored in the icebox until it is served. The one kitchen item that is a huge help in making this icebox pie recipe is a high-quality Cuisinart food processor. I used it to crush the pretzels for the crust, as well as to chop the fresh strawberries. It is well worth the price and I use mine every week! The other must have item for this easy strawberry icebox pie is a box of strawberry-flavored gelatin. Now, you can use the regular stuff that you find at the grocery store but I don’t really like the artificial colors or flavors. I purchased natural strawberry gelatin and it worked out great. When you are making up this pie, don’t forget to save a few pretzels while you are making the pretzel pie crust. You can use a few as decoration on top of each slice you serve. You will want to remember to take this strawberry freezer pie out of the freezer about 10 or 15 minutes before you cut it so it won’t be quite so hard to cut! 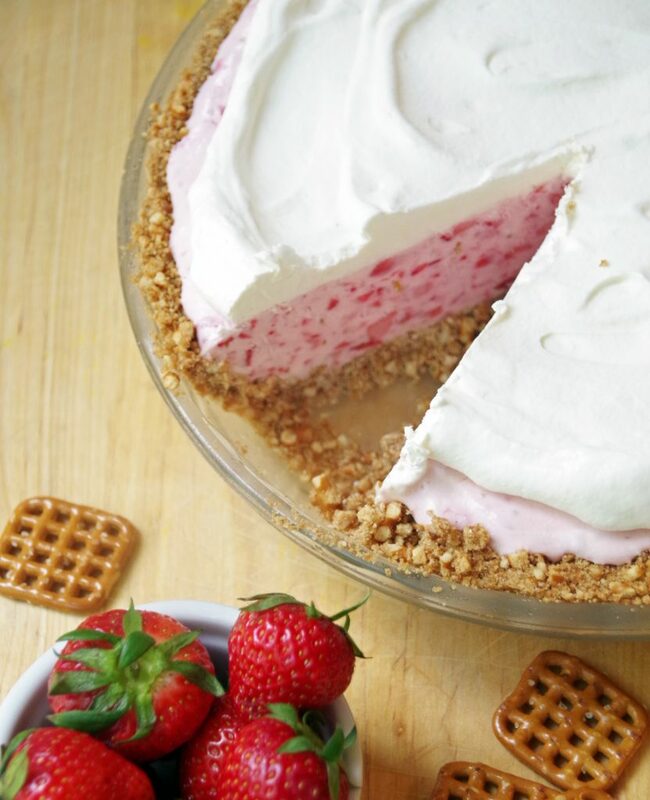 For this strawberry pretzel icebox pie you obviously need to make the pretzel pie crust first! Check out this video below for directions on how to make a pretzel pie crust! Want to try your hand at other icebox pie recipes? Try a few of these! In a food processor, crush pretzels. Add brown sugar and melted butter. Press crumbs into a pie dish and press them firmly against the sides and bottom. Bake in a 350 degree oven for 10 minutes or until starting to brown lightly. Remove crust from oven and let cool. In a food processor, combine strawberries and granulated sugar. Process until coarsely chopped. Set aside. In a large bowl, beat the cream cheese, sweetened condense milk and gelatin until smooth. In a separate bowl, beat 1 cup of the heavy whipping cream until it forms stiff peaks. Gently fold in the strawberries with juice and the whipped cream into the cream cheese mixture. Mix until combined. Freeze the pie 8 to 12 hours. Whip remaining 1 cup heavy cream with powdered sugar until stiff peaks form. Spread whipped cream over the pie and freeze again at least 1 hour. 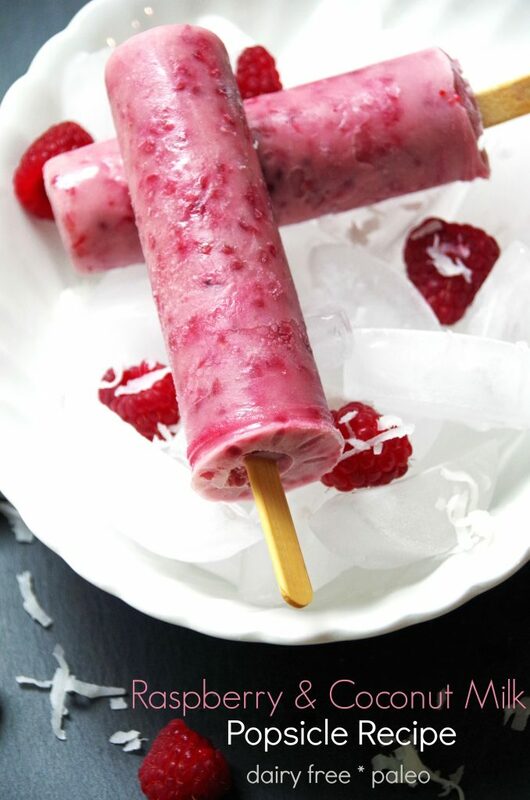 What’s your own favorite summer dessert recipe? 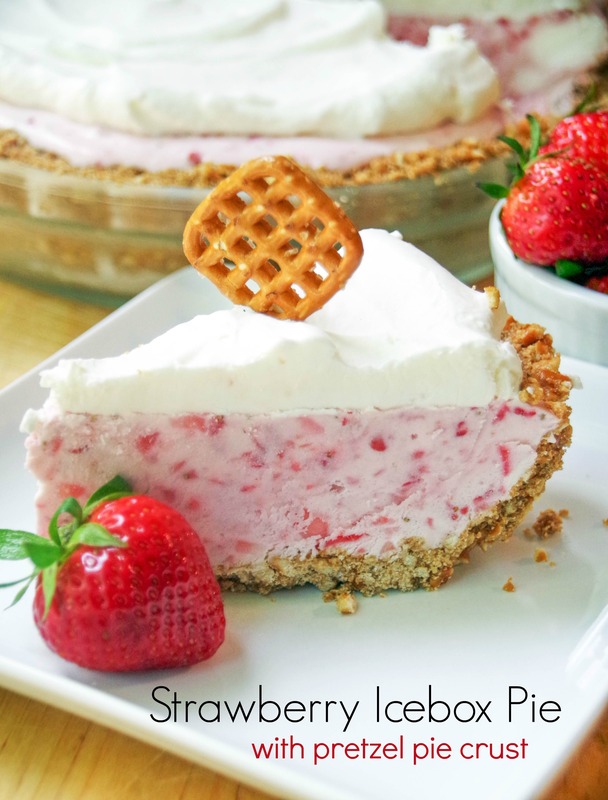 Like this Easy Strawberry Icebox Pie? 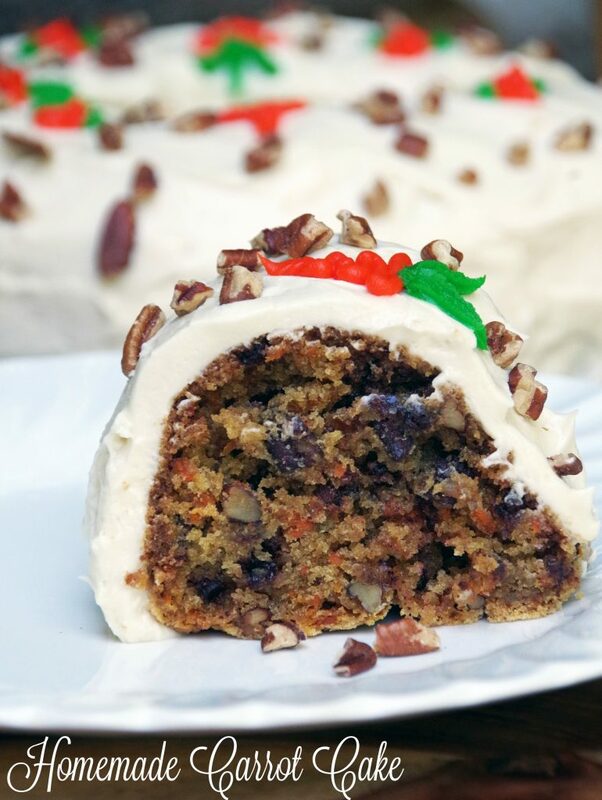 More dessert recipes you might enjoy!